Kitchen is a place we spend so much time while cooking. Whether we are hosting high-class guests or doing homework, kitchen always ends up acting as the homes central station. Get the most out of every centimetre of your kitchen space while making it as modern, glamorous and inviting as possible. 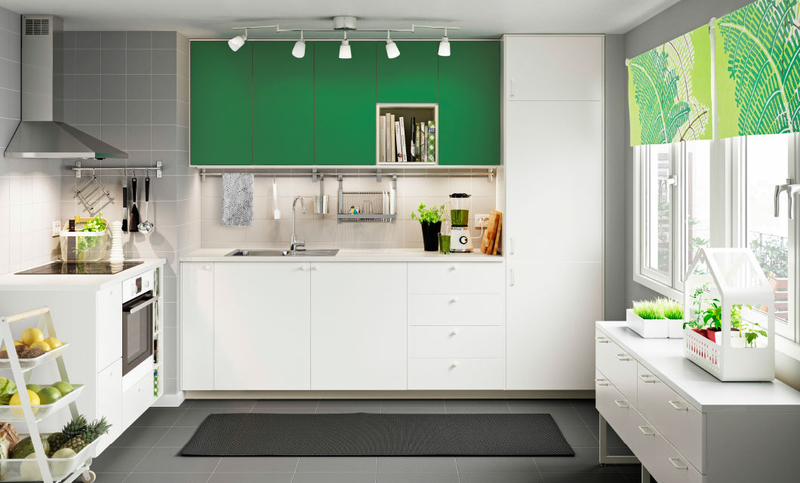 Kitchen storage is not just a practical necessity; it can also be a design feature. By combining glass doors, open shelves and as many visible drawers as you like, you can create a kitchen that not just only effortlessly stores your stuff, but also expresses your personal style. Have a look at the various cabinet doors that will add sheen & style to your kitchen. It will not just add warmth and depth to a modern kitchen but also bring nature back into the home. Imagine wood grain patterns narrating a tale from the tree it originated and giving your kitchen decades of warmth with these aesthetically appealing wooden cabinets. Yes modern kitchen cabinet doors can be colourful too like cherry red lacquer or laminate cabinets or bright cobalt blue or more. All of these colours will go extremely well with contemporary decor. So add a flourish of colour to your kitchen for this epic era of style. Create a focal point and add a little zest to a white kitchen. Add a splash of colour wherever you like. And there is an easy way to renew your kitchen when you feel like a change. If you like bright shine and rich look in your kitchen then lacquered kitchen cabinets are the one for you. It is a process of applying numerous coats of lacquer, followed by polishing and waxing. Lacquer finishes can be durable and scratch-resistant if done properly. You can get lacquer cabinets in virtually any colour of your choosing, but be aware that in order to maintain that glossy sheen, you must clean them properly. Wood, Lacquer and Paint- If you are confused in deciding what appeals to you most here is a solution. Mix everything in style. Like have the lower wood cabinets in combination with upper white lacquered ones, walnut cabinet side panels with shiny lacquered faces or stainless steel floating upper shelves with painted lower wood cabinets. Combination can be endless all you need is explore your imagination and make a style that is yours.